Was the first thing that popped into my head when I saw this. That pic is the first known biological gear mechanism. 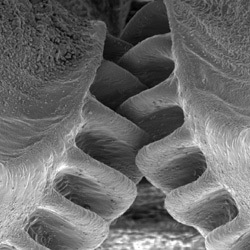 Full story here, http://www.cam.ac.uk/research/news/functioning-mechanical-gears-seen-in-nature-for-the-first-time …anyone who digs science, this is a must click link. The short story is an insect known as an Issus, has a gear mechanism, by way of evolution, that synchronizes its legs for jumping. 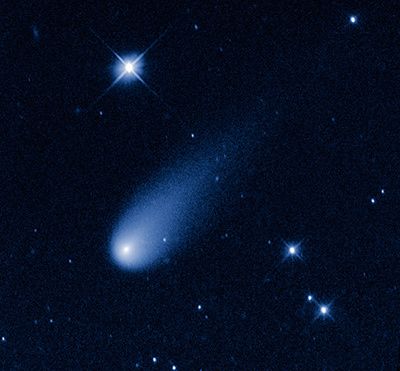 Allowing it to perform powerful jumps, and retain control throughout the jump, due to the accurate dispersal of energy to both legs at the moment the jump is initiated. As in many evolutionary traits (think embryology) this function is lost in adulthood, being present only in juvenile Issus.